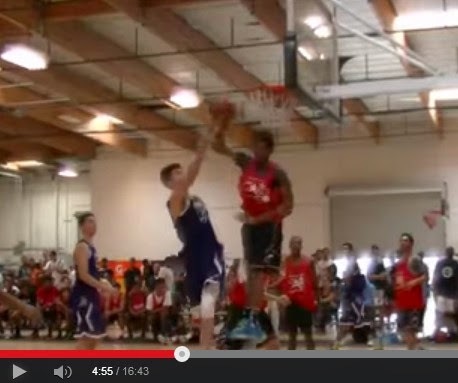 Fast forward to 4:36 if you want to see Kobe Paras doing his thing on the court. He had a nice rebound and then he led the fast-break. From that point on in the game, he started to assert himself more, scoring, defending the rim, and looking to steal the ball for his team, the LA Cathedral Phantoms. All in all, I think he scored 10 points in this highly contested match between Corona Centennial Varsity Boys Basketball Team and LA Cathedral in the #TheLeague 2014. You may watch the complete in game footage in the video below.